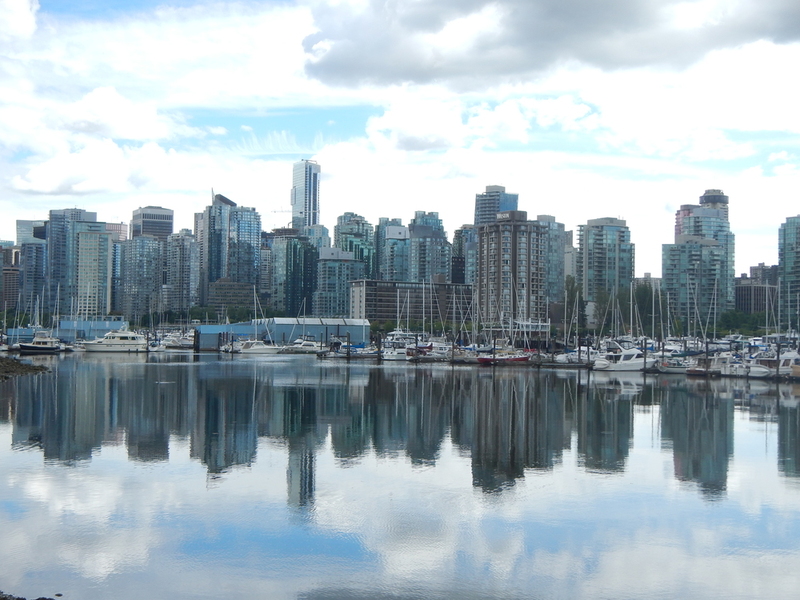 Starting Point: Vancouver, BCEnd Point: Vancouver, BC # of days: If you wanted to rush, you could return to Vancouver four days after you set off, but that pace is too fast and you should take a week to truly appreciate the sites. The itinerary below represents the bare minimum you should take—feel free to expand where needed. The itinerary: One night Vancouver, one night in the Okanagan, one night Yoho, one night Banff, one night Jasper. Things to do: Hiking, biking or canoeing is top notch in Yoho, Banff and Jasper National Parks, whereas wine lovers will rejoice in the Okanagan as will boaters. And of course, photographers will relish in every spot mentioned as the scenery changes dramatically from place to place. My favorite part: The lakes in the national parks; the tones of blue are mesmerizing. My road trip essential: Snacks for the long drives and grab a few bottles of wine direct from the wineries while in the Okanagan to make the evenings in the Rockies that much better. You can bring a tent as there will be lots of camping spots available, or stay in the plentiful hotels and B&B’s in the area. If you plan on going hiking into the back country, get some bear spray. As far as starting points go, Vancouver has it all. Great nightlife from clubs to craft brewpubs, restaurants that range from five-star elegance to tasty fish-n-chip shacks, and shopping districts for all the name brands and many local artists, as well as an abundance of nature. Choosing what to do might be hard, but leaving might be harder. Especially if you arrive in summer and the weather is sunny. Biking the sea wall from Coal Harbour to English Bay. Vancouver’s iconic bike ride through Stanley Park, the world’s best urban park according to TripAdvisor, and along some beautiful stretches of golden sand. Shopping for lunch and snacks amongst the buskers and artists at Granville Island’s Public Market. Hiking the brutal “mother nature’s staircase” trail called the Grouse Grind (or taking the gondola instead) to rise above the city and be rewarded with panoramic views. Get out of Vancouver and head east on Hwy 1, the main highway that stretches 7,812 km (4,854 miles) and connects eastern Canada to the west. On the way be sure to stop at Bridal Veil Falls, a 60-meter-high (197-foot) fall that tumbles over the rocks in a veil-like appearance. Another excellent photo stop is the Othello Tunnels (pictured above), just outside of Hope on Hwy 5. These old abandoned railways were built as part of the Kettle Valley Railway in the early 1900s. Bring a flashlight as you explore the tunnels and bridges of the canyon that the railway cuts through. The semi-desert of Canada is deserving of its own road trip plan, but makes a wonderful pit stop for a day or two while on route to the Rockies. Dubbed the "California of Canada," the region has hot temperatures in the summer and lush orchards bearing peaches, cherries, apples and more. It's no wonder this is Canada’s top wine region. Base yourself in either Osoyoos or Kelowna, where the most hotels and campgrounds can be found. Do a wine tour in Oliver (just north of Osoyoos, part of a half day bike tour or 15-minute drive), home to dozens of world-class wineries. Go wine tasting at Burrowing Owl if you can only see one. Kettle Valley Railway is another section of abandoned rail bed trestles that was used during the gold rush days; this one was recently rebuilt after a devastating wildfire in 2003. The enormous freshwater Okanagan Lake that stretches across most of the Okanagan Valley is perfect for boaters, swimmers, and beach bums. The drive from Kelowna to the Rockies is just under six hours, but break it up with some scenic pit stops. Take a break and learn some Canadian history at Three Valley Gap, a ghost town museum that was originally built by the Bell family who thought Three Valley was going to take off as a railway town. It didn’t, but the cute chateau in the gorgeous valley is well worth the stop. The drive through Revelstoke and Glacier National Park is incredibly scenic. Take a pause at the top of Rogers Pass to reflect on the massive mountains that surround you. The name Yoho means "awe and wonder" in Cree, an aboriginal language, and as soon as you are below the towering 3,000-meter (9,843-foot) peaks that make up Yoho’s park, it is easy to see why. The white Kicking Horse River cuts through the pine-filled valleys, while giant peaks with shale fossil beds rise above a town of only 300 people. This is the first of the Rocky Mountain parks, and the park with the least amount of tourists, so enjoy the relative quiet while you can. Make the town of Field your home base if you need a B&B or grab a spot at the 300-meter (984-foot) walk-in campground at Takakkaw Falls if you are tenting. Paddle a canoe along Emerald Lake (pictured above), or just walk the shoreline route of the beautiful green shores that sit in Emerald Basin. Stand beneath the mist at Takakkaw Falls, one of Canada’s highest waterfalls, in the gorgeous Yoho Valley. If you have time to hike, do the Iceline Trail (it’ll take 5+ hours). Every local in either Banff or Yoho will tell you that is one of their favorite trails. With the metropolis of Banff, population 4,500, as your home base you will notice a huge increase of popularity in this park. Tourist shops selling every type of trinket you could imagine and lines are everywhere. Take it in stride. There is a reason everyone comes here: it is beautiful. Hikers, nature lovers, stag and stagette groups, and Sunday drivers are out in full force in this park, which is only one hour from Calgary. Morraine Lake and the Valley of the Ten Peaks is Canada’s most-photographed spot. Words fail to do justice to the topaz blue lake with a backdrop of cliffs and glaciers. Lake Louise is just 15 minutes away from Morraine Lake and is home to the five-star Chateau Lake Louise. If you have time, climb the Plain of Six Glaciers trail to escape the crowds, but you’ll need all day to do it. Johnston’s Canyon is an easy 1-hour hike to a lower waterfall that has hikers walking along the canyon walls over the blue river. Easy and impressive. Once you’re in Banff, take advantage of the bike paths, renting a bike and riding to Vermillion Lakes and Bow Falls to the west of town before heading east of town to Lake Minnewanka. The paths are flat and easily reached but provide a huge reward of beauty, not to mention the ability to escape the crowds of the city. 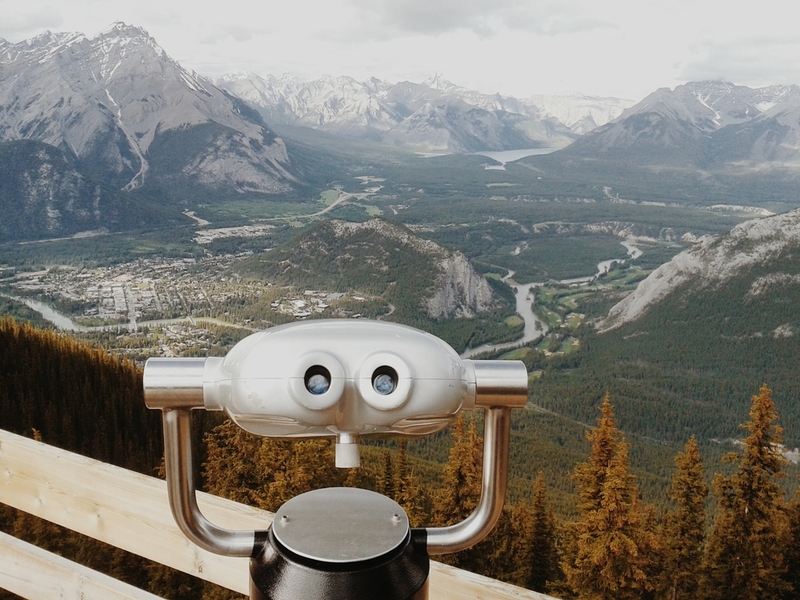 If you want to spend some extra money, take the Gondola or hike to the top of Sulphur Mountain to look down on the town of Banff while walking on a boardwalk with 360-degree views of the park. Drive the Icefield’s Parkway on route to Jasper, stopping at Bow Lake and Peyto Lake for pictures. With valleys stretched out further than the other parks, Jasper feels wide and spacious with great opportunities to see wildlife as well as take in some world class sites. Their current slogan, “Bring the bear spray, leave the hairspray,” is a great reflection on this park actually being for people who enjoy nature, rather than the party atmosphere the town of Banff is known for. The Athabasca Glacier can be explored in two ways, by hiking an easy and free 30-minute path to the foot of the glacier, or paying $50+ to ride a customized bus onto it during a 1.5 hour tour. I prefer the walking. Athabasca and Sunwapta Falls are easy pit stops along the Icefields Parkway on route to Jasper that are very photogenic and worth the pause. Maligne Lake and Maligne Canyon are both full day adventures to some stunningly beautiful landscapes deep within the park. National Geographic has named Tonquin Valley one of the top hikes to do in a lifetime. It’s still on my bucket list but the 70 kilometers (40 miles) of backcountry trails are great for those wanting to escape for a multi-day adventure. This is a long drive: nine hours not including breaks. Make strategic stops like Mount Robson (pictured above), an hour outside of Jasper, to stretch your legs and view the tallest peak of the Canadian Rockies—it sits just shy of 4,000 meters (13,123 feet). A few hours down the road is Wells Gray Provincial Park, a park chock full of waterfalls falling over volcanic gorges. Helmecken Falls are the most spectacular but Spahat Falls are easiest reached and very beautiful as well. Keep an eye out near Barrier for remnants of one of the largest wildfires, whichhit British Columbia in 2003, to showcase just how dry the area is. Take a meal break in Merrit, the country music capital of Canada, with more cattle and belt buckles than anywhere else in British Columbia. I did it in ten days, but I would add two more to make the driving distances a little more relaxed. Two nights Zion, one night Moab, three nights Glen Canyon, and three nights Grand Canyon (with long distance driving in between). Hiking is top notch in Zion, Arches, and Grand Canyon national parks, whereas kayaking is king in Glen Canyon. Biking is the way to go for Canyonlands but just watch out for those canyons! And of course, photographers will relish in every spot mentioned as the scenery is out of control. Watching the sunset from Plateau Point, half way down in the Grand Canyon, just above the mighty Colorado River. Snacks! The whole drive has plenty of open roads with hardly any food stops, so stock up before you go. Also, get a tent with a large mesh 'skylight' to star gaze at night. With cheap and regular flights into Las Vegas from nearly every North American city, America’s southwest is an easy and accessible destination. But why stay put in the glitz and glamour of a manmade city full of flashing lights and guilty pleasures that empty wallets? Instead, use that destination as a starting point to take one of the most scenic road trips in the world. This circle route is full of adventure and some of America’s best national parks. Three hours from Las Vegas is this national park in Utah’s southwest corner. Towering red canyons and deep river gorges make up this prehistoric-looking national park. Climb to the top of the canyon on Angel’s Landing, or go up river in the gorge of The Narrows. As one of America’s favorite national parks, camping and access is easy and plentiful—just remember to pack your sense of adventure. Bryce Canyon proves to be a fan favorite for those who simply want to look out onto something beautiful. From the dusty summers to the snowy winters, the orange hoodoo—a spire-filled amphitheater surrounded by towering pines—is a photographers dream. Highway 89, which leaves from Zion through Bryce Canyon and heads north until the Highway 50 turnoff towards Moab, passes nothing but national forests and alpine lakes. The scenery changes every few miles but don’t expect many services stations. Stock up on fuel and food before you set off and be sure the camera is charged for great road trip photos. Truly an adventure town, Moab is the gateway to two phenomenal national parks: Arches and Canyonlands. Trek the easy but overly rewarding trail to Delicate Arch (pictured above) or find your backcountry trails on bike rides through Canyonlands. Base yourself here to recharge with a cold beer and a comfortable bed if you are tired of camping. Typically southwest, highway 191 passes nothing but wilderness but offers miles of stunning views. Driving south into Arizona you’ll pass countless filming locations of the American Wild West, making the entire drive feel like you’ve landed in frontier lands with Billy the Kid. Views of the flat plains are sprawling, the grand size of this area is best experienced with the windows down and country tunes up. America’s bathtub playground is one for the record books. The damming of the Colorado River lead to the creation of Lake Powell, a boater’s paradise with hundreds of flooded canyons waiting to be explored. Either by houseboat or kayak, this is one amazing place to get onto the water. For pre- or post-trip detours, head to the Antelope Canyon and Horseshoe Bend near Page for two of America’s top photography locations. Watching the sun rise or set in the Grand Canyon is an experience that cannot be duplicated. For adventurous types, try hiking to the Colorado River on a rim-to-rim hike that takes trekkers over 4,000 feet down into the base of the canyon as they complete at least an 8-mile descent along the mule path. Just ensure to bring plenty of water as temperatures scorch well over 100 degrees. This adventure is one to try sooner rather than later, with talks in 2014 of building a cable car gondola for those not wanting to hike or hire a mule to get to the river below. An engineering marvel, the Hoover Dam is an easily accessible stop for those looping back to Vegas from the Grand Canyon. Over four million cubic yards of concrete dams the Colorado River, a number matched only by the amount of annual visitors who come to stare at this man-made feat. If you have extra time, tack this iconic stretch of Americana onto your road trip. Most road trip bucket lists include driving across country on Route 66, only the entire length of the highway is now broken up into sections that cling on to the history and areas that are decommissioned. Sections that are still in used are wrapped up in the tacky diners and "world’s largest ball of yarn"-style attractions. Find your stretch of Route 66 easily on the circle route between Seligman and Kingman in Arizona. View this map on Google maps.